The study – 'The establishment of a marine focused biorefinery for bioethanol production using seawater and a novel marine yeast strain' – has been published in Scientific Reports and was carried out by researchers at the University of Nottingham. Their results showed that seawater can be used in Bioethanol production along with a new strain of marine based yeast. 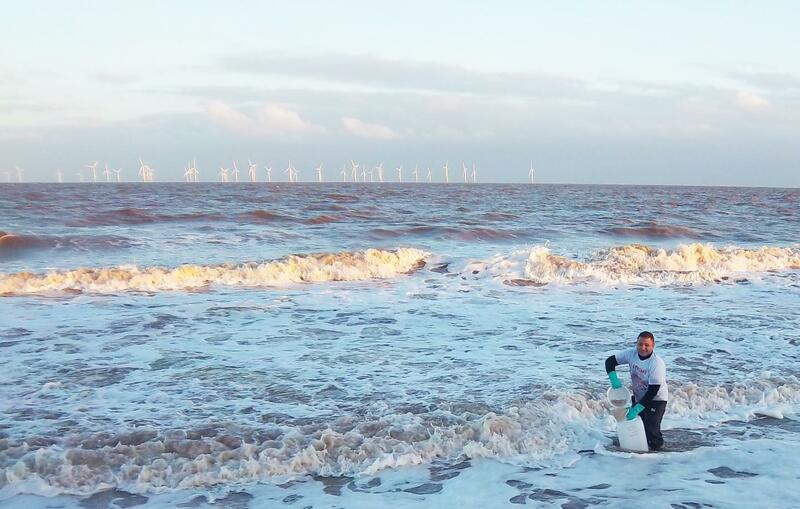 Dr Abdelrahman Zaky, a microbiologist in the School of Biosciences, conducted his research using seawater from the Lincolnshire coast and took his marine yeast samples from various locations in the UK, US and Egypt. He put them through the fermentation process in the laboratories in Bioenergy and Brewing Science Building at the University's Sutton Bonington campus. Dr Zaky said: "Current fermentation technologies mainly use edible crops and freshwater for the production of bioethanol. With an ever growing population and demand for biofuels and other bio-based produces, there are concerns over the use of the limited freshwater and food crops resources for non-nutritional activities. Also, freshwater has a high price tag in countries where it is available, pushing up the price of production." Water is a key element in the fermentation process in the production of Bioethanol, a sustainable fuel derived from maize or sugar cane. Currently it has an extremely high-water footprint with an estimated 1,388 to 9,812?litres of freshwater consumed for every litre of bioethanol produced. Dr Zaky said: "The main purpose of marine fermentation is to introduce an alternative source of water and biomass for industrial biotechnology in order to reduce pressure on use of freshwater and arable land, allowing these resources to be dedicated to production of food and feeds an reducing production costs. Marine fermentation is the approach where seawater, marine biomass and marine microorganisms are used in the fermentation process. "Seawater is a freely available and plentiful resource, and contains a spectrum of minerals, some of which have to be added to freshwater. The fermentation process using seawater also produces salt and freshwater as bi-products adding to economic benefits of the process."